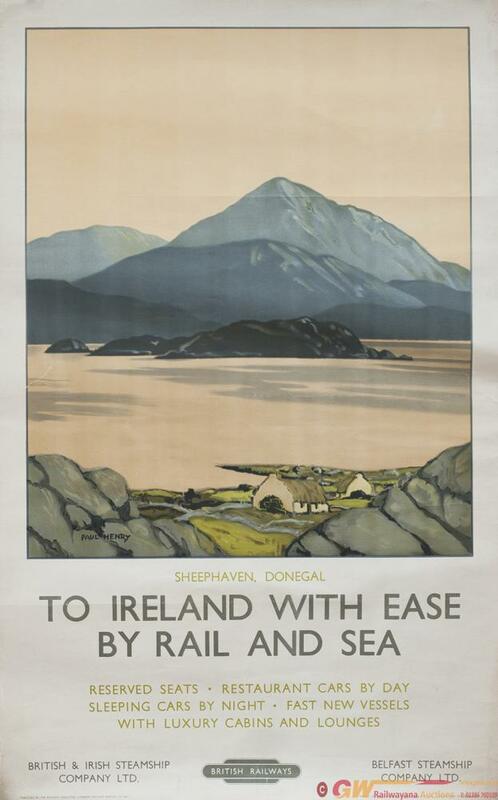 Poster BR SHEEPHAVEN, DONEGAL By Paul Henry. Poster BR SHEEPHAVEN, DONEGAL by Paul Henry. Double Royal 25in x 40in, published by Railway Executive LM Region in 1951. In very good condition and has been mounted on rice paper.